The CBC Vancouver Broadcast Centre is open for tours! The CBC Vancouver Broadcast Centre is open for tours! See our integrated newsroom. Ever wanted to see inside our newsroom? The CBC Vancouver Broadcast Centre is open for tours! You'll get a behind the scenes look at our state-of-the-art integrated newsroom, home of CBC Vancouver News, The National and CBC Radio One in Vancouver. We are centrally located in the entertainment district of downtown Vancouver at 700 Hamilton Street (at the corner of West Georgia Street). CBC Vancouver has been a vibrant part of the Vancouver community since 1936 and now our beautifully redeveloped Broadcast Centre and Plaza have brought new life to the neighbourhood since 2009. 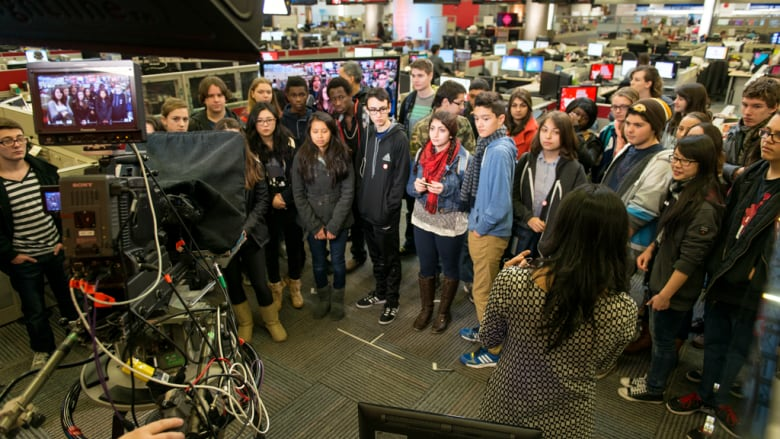 To book a tour, please email newsroomtours@cbc.ca. We will respond to inquiries within 3 business days.